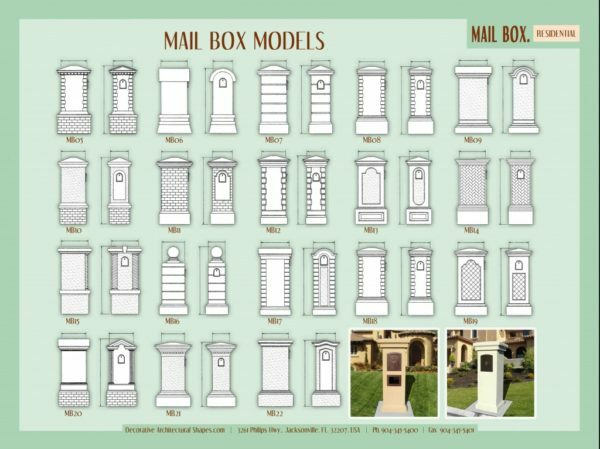 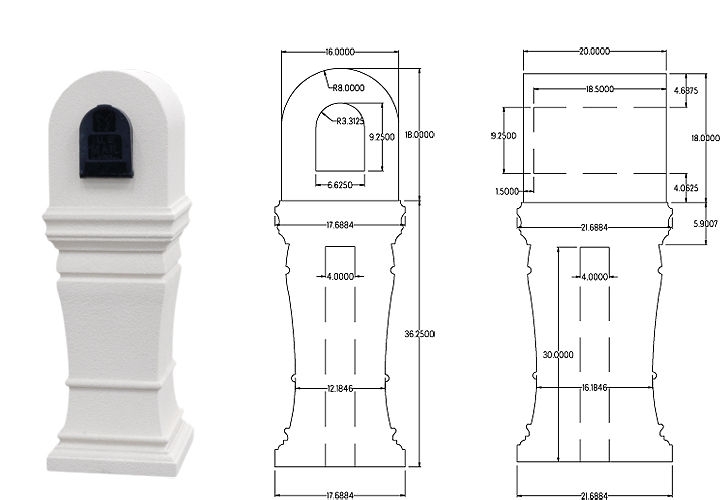 New stucco architectural mailboxes ready to install over your 4″ x 4″ wood post. 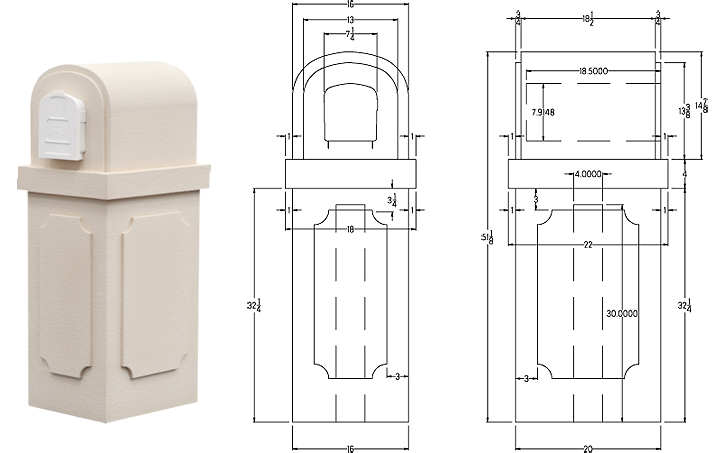 styrofoam core with ready-to paint stucco exterior. 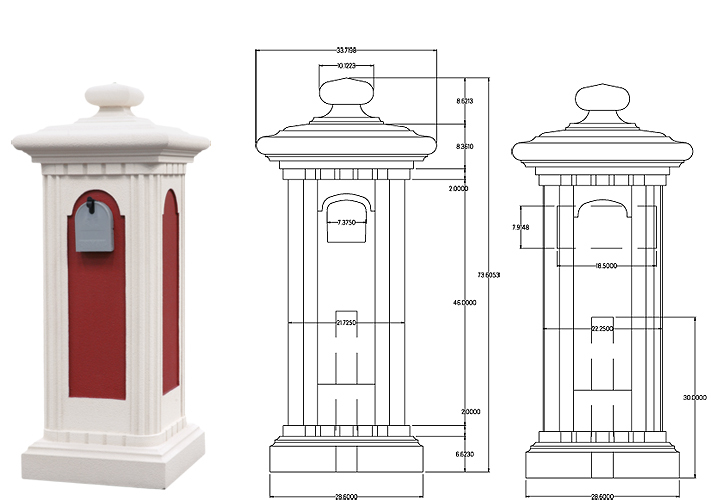 Working with you we can develop a variety of designs to provide just the right look for your community. 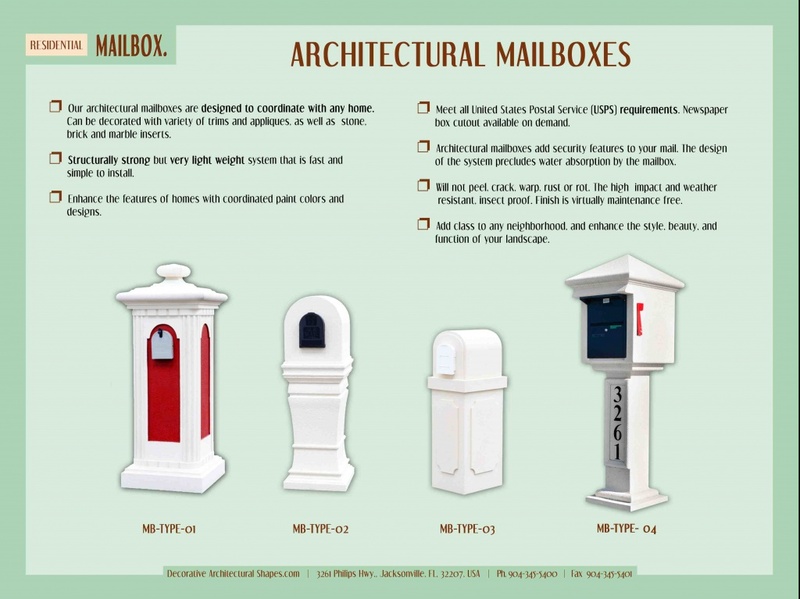 Our organization prides itself in providing quality architectural mailboxes and exceptional service. Royal Foam offers unique mailbox & stucco architectural mailboxes at following markets: – Apartments – Community development organizations (CDDs) – Residential homes – Homeowners associations – Colleges and schools – Private postal centers – Corporate mail centers – Military bases – Office buildings – Residential developments – Churches – Medical facilities – Condominiums – A host of other applications.